The sound effects for Good Morning Good Morning, assembled on the previous day, were added to the song during this session. The effects were dubbed onto the vocal track of the tape. After this the song was complete, and it was mixed in mono and stereo on 6 April 1967. Another set of sound effects, for Being For The Benefit Of Mr Kite!, had been created on 20 February. During this session they were added to track three. The song was completed with additional organ and glockenspiel on 31 March. 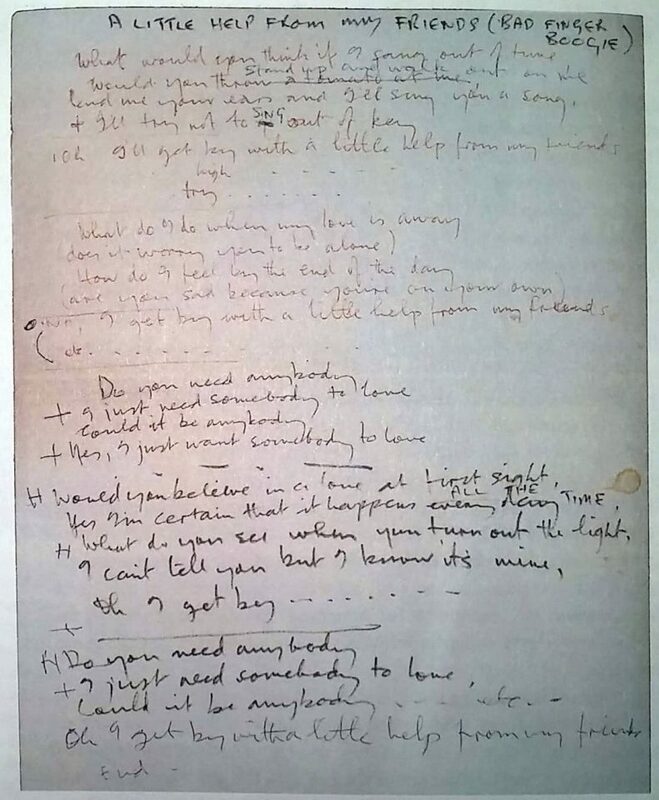 The Beatles began a new song on this evening. With A Little Help From My Friends was written for Ringo Starr to sing, and was known during this session only as Bad Finger Boogie. From the beginning it was intended that the song would segue from the Sgt Pepper's Lonely Hearts Club Band title track, and recording began with the "Billy Shears" line. The Beatles began by recording the rhythm track in 10 takes, the last of which was the best. It had Paul McCartney on piano on track one, George Harrison's rhythm guitar on two, Starr's drums and cowbell played by John Lennon on three, and George Martin playing organ on track four. A reduction mix, numbered take 11, made free some space on the tape for further overdubs. Starr then added his lead vocals to tracks three and four, with backing vocals by Lennon, McCartney and Harrison. This session ended at 5.45am, and recording for the song was completed on the following day.